Environmental, Health and Safety News: How Did Fish in Vermont Get so Radioactive? 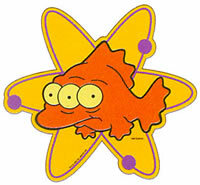 How Did Fish in Vermont Get so Radioactive? Forbes - One of the most lethal by-products of nuclear fission, Strontium-90 was found in the bones of nine of 13 fish collected from the Connecticut River last summer, and for the first time, in the edible flesh of one fish. Gov. Shumlin, however, said he would pass on eating the fish. Shumlin wants Vermont Yankee shut down when its license expires in 2012. The Nuclear Regulatory Commission has approved a 20-year extension for the plant, but Entergy also needs approval from the state. Expecting denial, Entergy is preparing to sue Vermont. Although no strontium has been found in groundwater samples taken at the plant, strontium-90 has been found in soil samples taken near a pipe that leaked tritium into groundwater, according to the Burlington Free Press. A “bone-seeker,” strontium-90 is chemically similar to calcium, so the body deposits it in bone and marrow, where it is known to cause cancer. Radioactive isotopes of strontium are particularly dangerous to the growing bones of fetuses and children.The Vermont fish were taken from the river months before the Fukushima accident. Another dangerous isotope found in Hawaiian milk this Spring, strontium-89, has been associated with Fukushima.